Here are some pointers on meditation taken from ancient scriptures such as Srimad Baghavad Gita. Q: What is the proper procedure for meditation? We must draw the distinction between living in the face of danger and living dangerously. A man who dares to live alone in a forest infested by wild beasts and wilder men without a gun and with God as his only help lives in the face of danger. “Hari Thum Haro” is the devotional song composed by Meera Bai, the poet saint. This song is one of the favourite of Mahatma Gandhi. 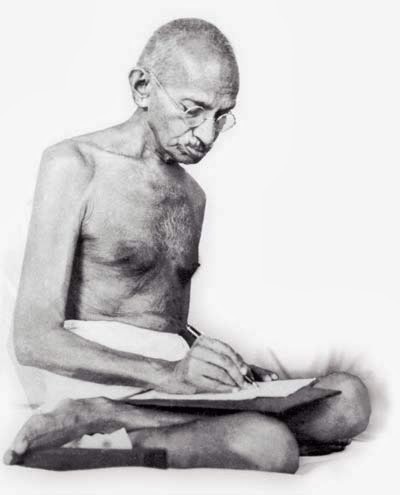 Learning Management & Leadership from the Mahatma's "The Story of My Experiments with Truth"